BATH TOWNSHIP – Ken Hudson, a 51-year-old assets manager from Bloomfield Hills and Oakland Hills Country Club member, said the Michigan Amateur Championship brings out the best in him. “I don’t play in many tournaments, and this is one I really look forward to,” he said after his opening 4-under 68 helped set the first-round pace in the 105th edition of the state championship presented by Carl’s Golfland at Eagle Eye Golf Club Tuesday. Hudson was tied with Austin Eccleton of Jackson, who came in late in the day with his 68. Eccleton and Hudson had a one-shot lead on 69 shooters Nate Clark of Charlotte and Tom Gelardi of Whitmore Lake. Three former champions were part of the six-golfer group who shot 70 – Randy Lewis of Alma (1992, ’99), Andrew Chapman of Traverse City (2013) and Henry Do of Canton and the University of North Carolina (2014). Others at 70 include Nick Gunthorpe of Ovid, recent Flushing High School graduate Joe Montpas and Devin Young of Howell and Cleary University. Among those shooting 71 were last year’s runner-up Kory Roberts of Royal Oak. Defending champion Ryan Johnson shot 75. The field of 162 will play another 18 holes of stroke Wednesday to determine the medalist/No. 1 seed and low 64 scorers, who then move into single elimination match play through Saturday. The 6th spot fell at 4-over 76 with 63 players shooting 75 or better. Only 18 golfers were under par in the first round, and 23 at par or better. Hudson, who a few years ago started working with Omni Kinetics to get in better shape and be able to compete in golf after age 50, shot 3-under on the back nine with birdies as Nos. 13, 14 and 18 in a calm morning that gave way to a windy afternoon. Hudson’s best finish in the Amateur was two years ago at Belvedere when he lost to eventual champion Henry Do in the quarterfinals. Eccleton led during the stroke play portion of the tournament at Belvedere, only to suffer a wrist injury in the second round and fall in match play. Eccleton highlighted his round with an eagle on the par 5 No. 15 hole, and a birdie on the par 3 No. 17 hole. Clark, who will be 37 Saturday, is a financial advisor with an office just a few miles from Eagle Eye, and he was elated when he found out two years ago the Amateur was coming to the place he plays most often. 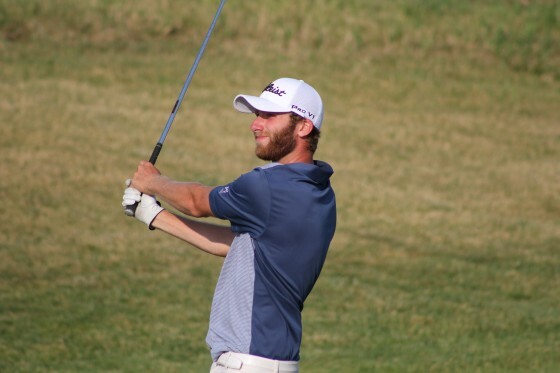 Gelardi, 31, directs the family produce business (Gelardi Produce), and has returned to tournament golf the last two years after playing the national circuit as a junior golfer. About the GAM: Founded in 1919, the Golf Association of Michigan is the governing body for amateur golf in the state. As a not-for-profit organization, the GAM’s purpose is to promote, preserve and serve the game of golf. The GAM, served by over 250 dedicated volunteers as well as nine full-time staff, provides membership to more than 55,000 golfers and more than 470 Michigan golf courses, conducts over 30 amateur championships, oversees 15 USGA qualifying events, administers the GAM/USGA Handicap System and measures and rates almost 70 courses a year for the USGA. Learn more at www.gam.org.